Lots of Mickey fans out there! Snag the Disney Mickey Mouse Firehouse with Mickey & Pluto for just $30 over on JC Penney! (Reg $60) Includes a Mickey and Pluto Figure. 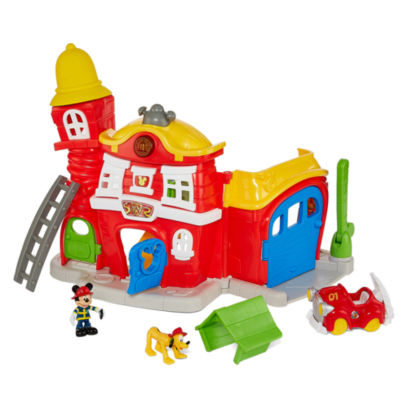 Mickey, Pluto and a bright firehouse play set are sure to set off the fun alarm and give your hero hours of play. With JC Penney you can choose free in-store pick up on your order to $25 or more otherwise there’s a $3.95 charge. Or score free shipping to your home with your order of $99 or more. Otherwise shipping is an additional $8.95.